So I have infected my PC, but I think I cleaned all the main viruses with malwarebytes and spybot S&D, but there is this weird chinese thing left, just look at the screenshot, because it's hard to explain for me. I would be very thankful if anyone helped me to delete this crap and maybe advice me if I missed something. I have the same problem in my system as well. But it is actually not a virus but a program which got installed while you were about to installed some other free software. 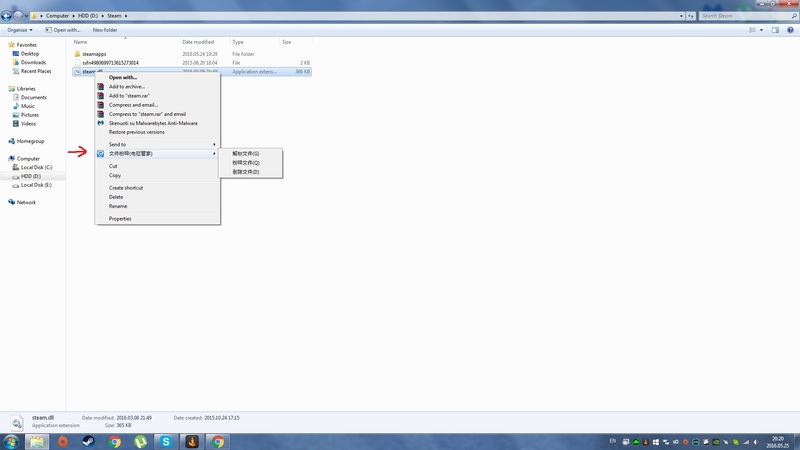 Do one thing, go to control panel and uninstall the program which is written in Chinese. Hope that your problem gets solved. I think you should use Revo uninstaller to clean overall junk files. This way is better than uninstall function in control panel. When you download any program sometimes some additional files that get attached to the main files and automatic gets download. If you can't able to uninstall the unwanted files than you can choose any uninstaller program through which things get sought out. By the way, if you can't find that unwanted application in Uninstall list, you may want to carefully examine each application in the list. Most often, this type of application will have a pretty "safe" title, so you can't identify it easily. Just check all the programs and see if it's really one you wanted. If that doesn't help, you can use a tool like CCleaner, which allows to remove unwanted entries from contextual menus.